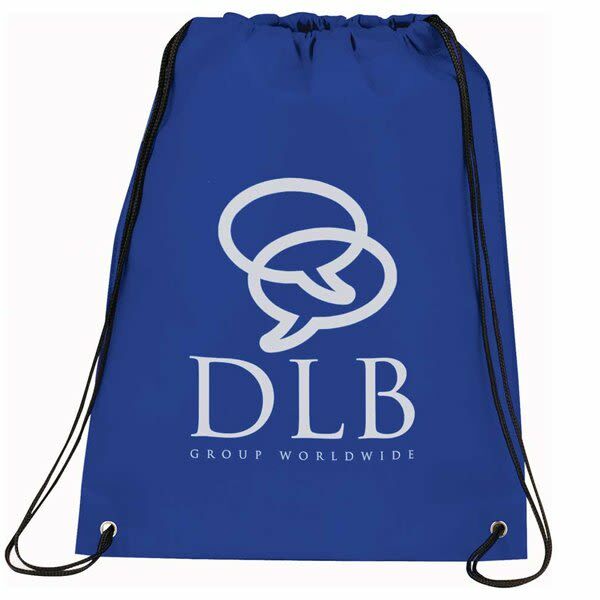 With surprising strength relative to its budget price, the Champion custom logo non-woven drawstring backpack will hold up to the rigors of daily use. 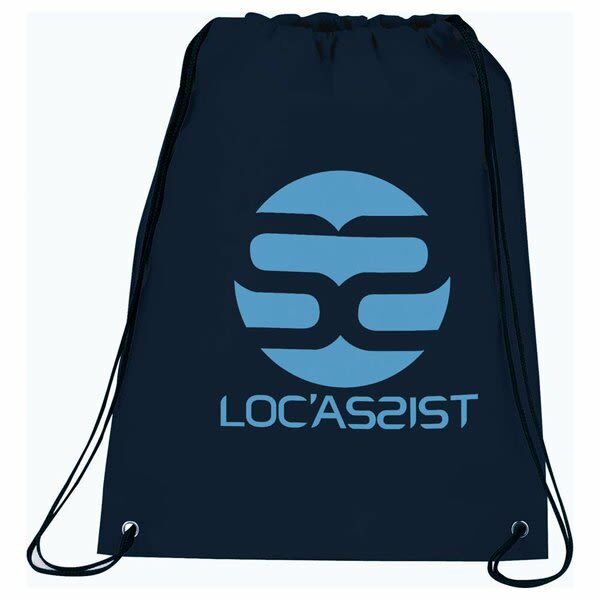 Made of 80 gsm polypropylene and given extra reinforcement with heat sealed seams, this custom drawstring backpack is a winner at giving your name exposure. 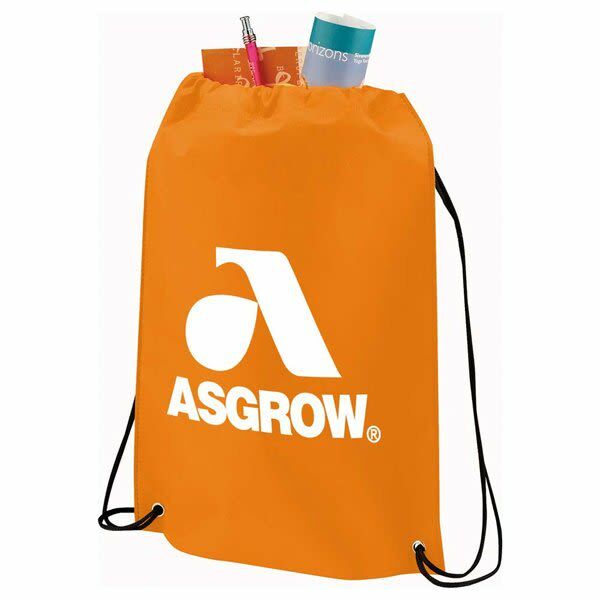 The long list of color choices for the mildew and water resistant polypropylene will make finding the colors that showcase your logo an easy task. Grommets in the corners add reinforcement for the drawstring rope straps as books, sports balls, and gym clothes are taken to school. A one color imprint on the front is included in the price. Additional imprint colors are available for an added cost. 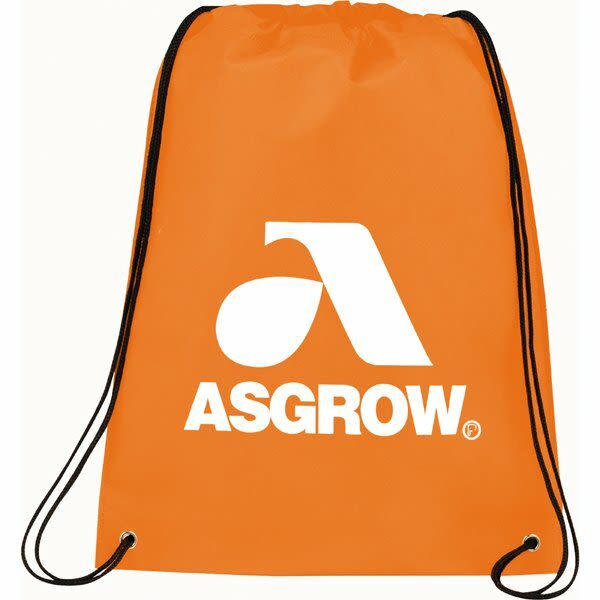 Our Champion personalized non-woven drawstring backpacks have their name for a reason. 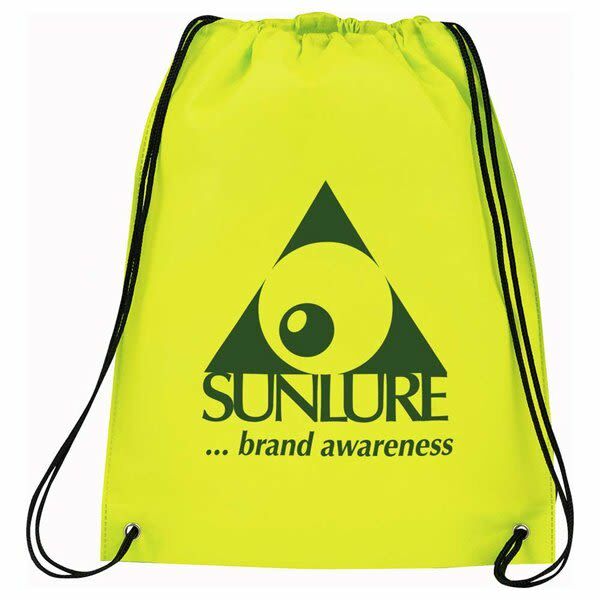 When you buy these customized polypropylene backpacks in bulk, you’ll soon see brand awareness expanding as you rapidly outpace the competition and sprint to the head of the field. 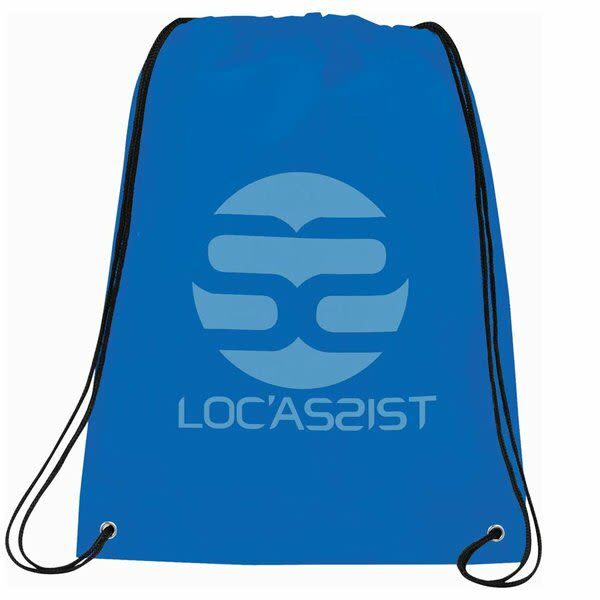 These eco-friendly promotional drawstring backpacks are made of durable 80 GSM non-woven polypropylene. This means that they’re made of recycled materials are are in turn fully recyclable themselves. 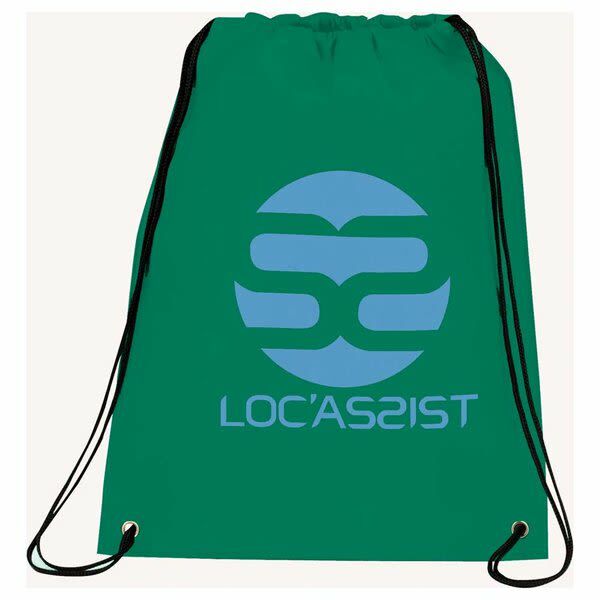 These wholesale drawstring backpacks are made even more durable by way of their heat-sealed seams & resistance against water and mildew. They also feature grommets in their lower corners to bolster the strength of the drawcord closure. Each one is 13 inches wide by 16½ high, along with a single color & location screen printed personalized logo imprint in an 8 inch wide by 8 inch high imprint area. 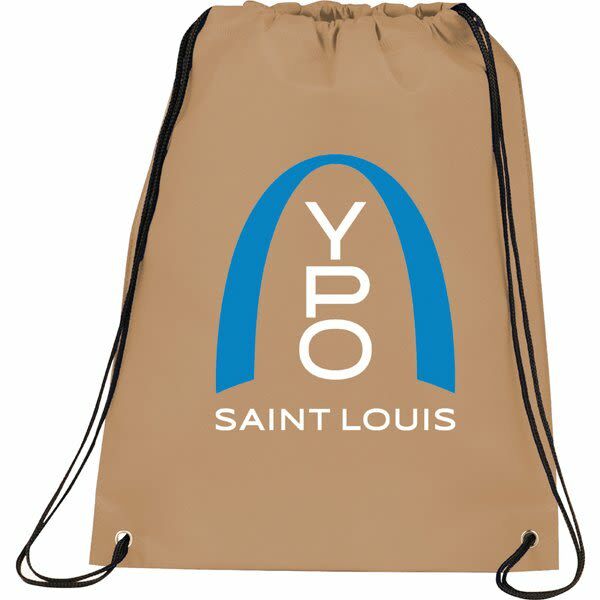 While the one color and location company logo imprint comes standard, there are upgrades available. 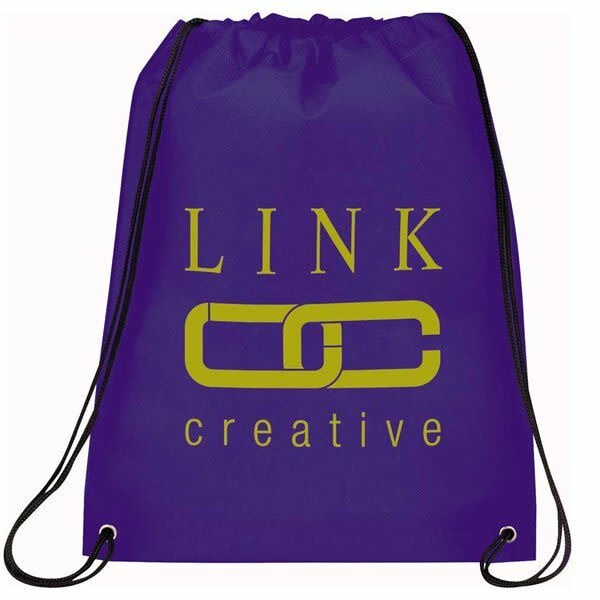 For instance, for an added charge, you can access custom business logo imprints in multiple colors & locations, as well as full color logo imprints. 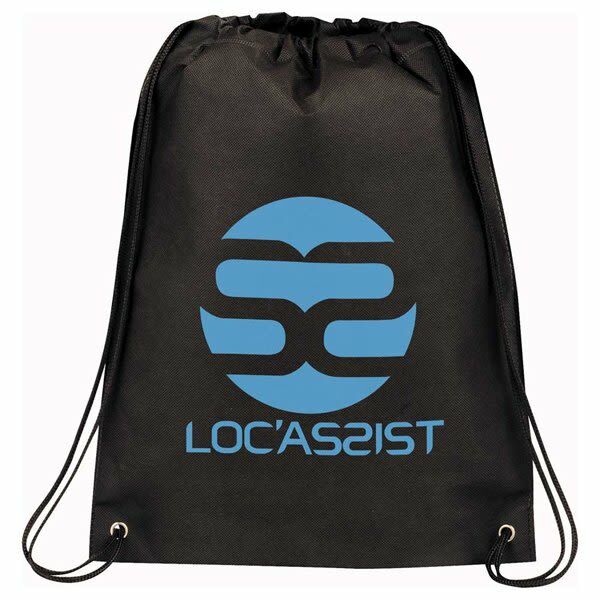 These cheap promotional drawstring backpacks are at rock bottom pricing, meaning they’re being sold at the absolute lowest price possible. They’re an absolute steal! 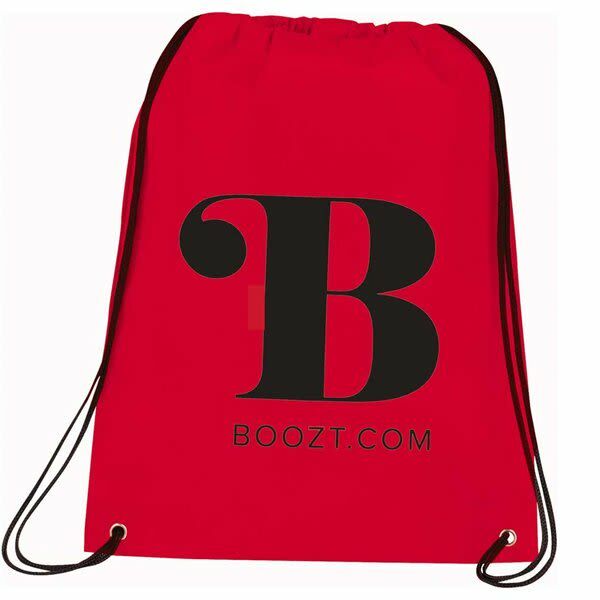 Want to offer more than one style of personalized drawstring backpack to your customers & target audience? No problem! 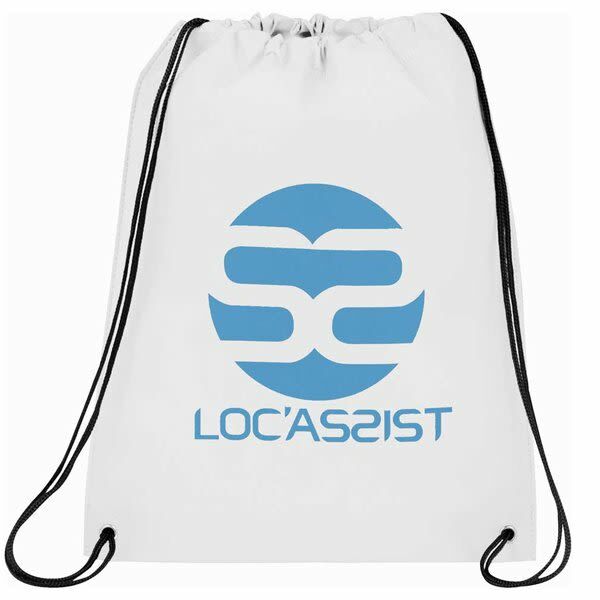 We have a grand array of high quality yet cheap personalized non-woven drawstring backpacks for you to select from.